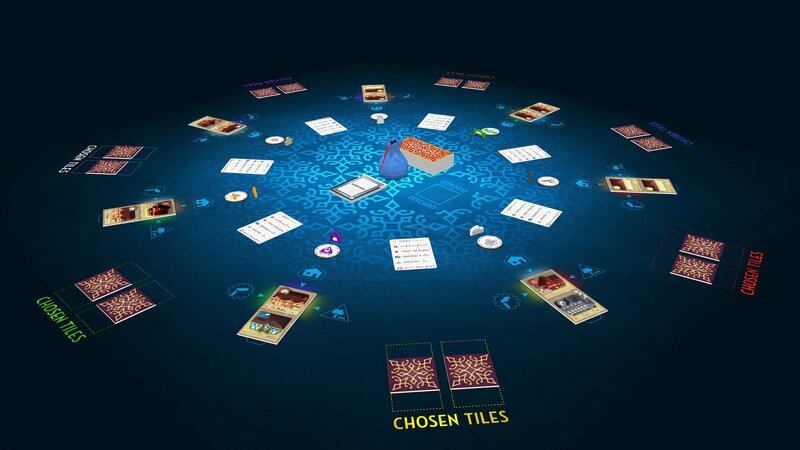 Between Two Cities is a partnership-driven tile-drafting game in which you work with the players on your left and right to design two cities. You are a world-renowned master planner who has been asked by two different cities to help them rebuild their city centers. On each turn you will select two tiles representing city buildings: factories, shops, parks, landmarks, etc.—and work with partners on your left and right separately to place those tiles into each of your two cities. To win, you have to share your attention and your devotion between two cities, as it is the lower number of points that will be your final score at the end of the game. Will your planning and collaborative skills be enough to design the most impressive cities in the world?